Artificial intelligence programming is an apotheosis of computer science technology. It gives superlative advantages to our lives. It induces a modern level of smart technology which meets the demands of human lives with collaboration of different companies achievements as having the similarity like human knowledge. But it is a machine knowledge coined by us with help of software programming languages like Java, Python, Lisp, Pr olog, and C++.The advancement and it's special feature is it learns itself with clear solutions by facing current conflicts for further survivor. Such a Manner the programming has designed inside with the logical concept of statistics and probability. We may get doubt that how it responds with exact solution using its own intelligence by examining the situation which is under its presence. It has designed the programming inside by consisting an electronic neural network in compact package. In a single word the clear demonstration of its working, it acquires the cognitive mimics for problem solving. This Artificial intelligence again categories in to 3 types. Those are ANI, AGI, ASI . ANI means Artificial narrow intelligence, AGI stand for Artificial general intelligence, ASI stands for Artificial super intelligence. ANI is week Artificial intelligence programming it needs some assistance. Google Assistance, Google translate, Siri, and some natural languages processing tools are coming under category of ANI. AGI is a cognitive intellectual programming which is exactly equivalent to the human intelligence. ASI is very superlative tool and exceeds humans in all aspects. Some people consider, if the revolutionary implementations in the research of AI occurs persistently, it may lead the risk of mass unemployment. 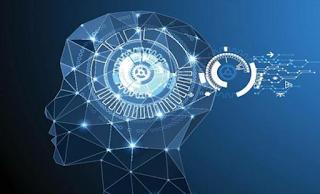 However, the expected changes in different fields will be happening in future with the help of day by day improvement of AI like communication, healthcare, automotive, military, video games, finance and economics, audit, advertising, art.